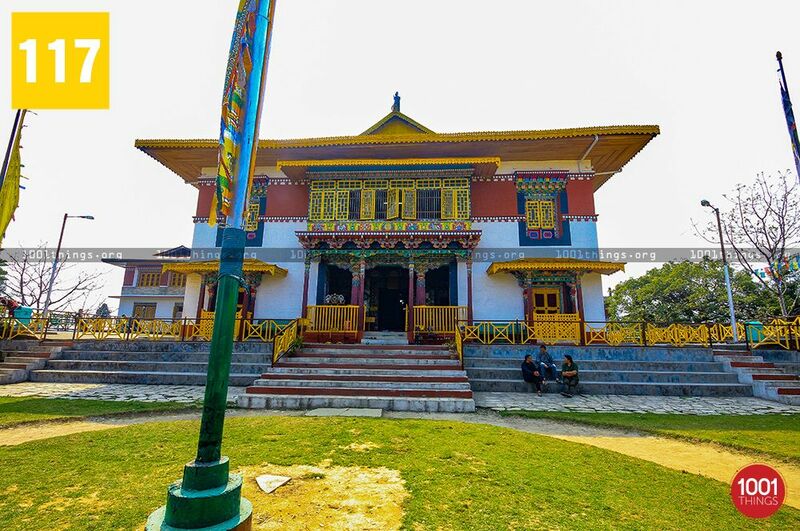 Pemayangtse Monastery is one of the most famous and beautiful structures in the state of Sikkim, situated near a small town of Pelling, in the Western district of Sikkim. 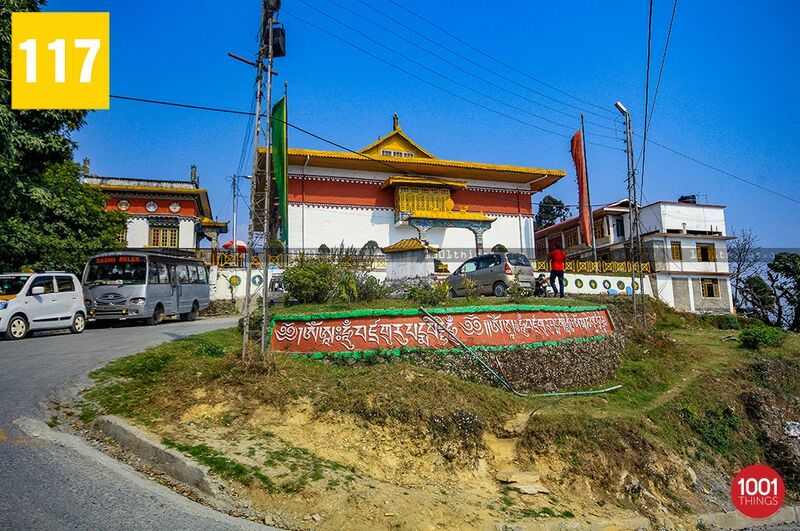 It derives a name from ‘padma yang tse’ or ‘sublime perfect lotus’.Founded by Lama Lhatsun Chempo, who himself planned and designed the monastery in the year 1705, it is one of the oldest and premier monasteries of Sikkim, Originally it was started as a small Buddhist establishment in the 17th century. It was During the reign of the third Chogyal (King) Chakdor Namgyal, Jigme Pawo, also believed to be the third reincarnation of Lama Lhatsun Chempo, rebuilt and extended it into the form of a big monastery. 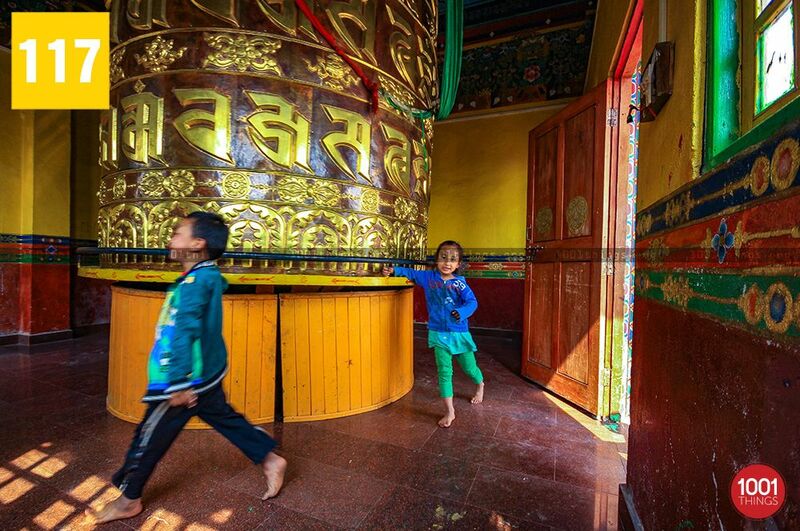 Among the four major orders of the Tibetan Buddhism the monastery follows Nyingmapa order and it is subordinate to all the monasteries of Sikkim which follows that order. The monks of this monastery are normally chosen from the leading Bhutia families of Sikkim and only the “Pure Monks” or the “monks of pure Tibetan lineage”, without any physical disorders deserves a privilege to stay in the monastery, in fact, the head Lama of this Monastery was entitled to consecrate the Chogyals or Kings of Sikkim.There are 108 monks in this monastery. 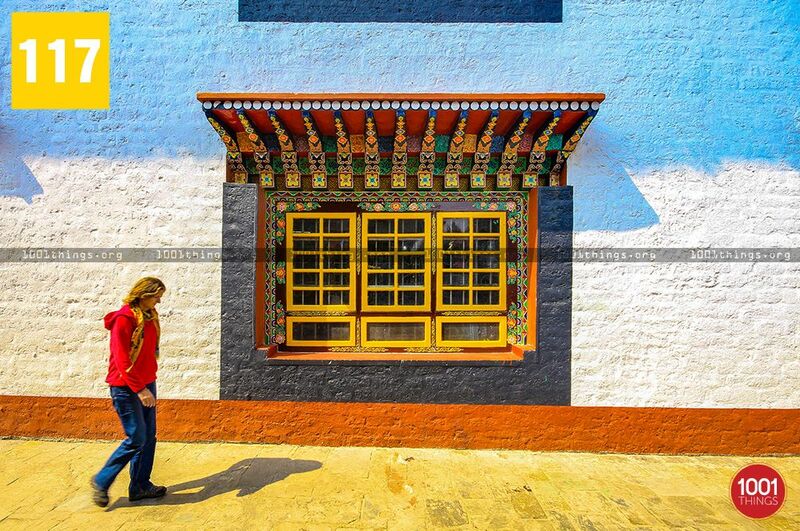 The monastery is situated in a very scenic location with the beautiful snow-capped mountains at the background. 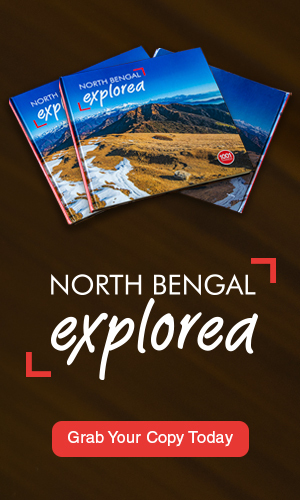 It has the three storied structure, on the top floor of the monastery there is a wooden sculpture depicting the Maha Gurus Heavenly Palace “Sanghthokpalri”. It was a masterpiece of Lama Dungzin Rimpoche,who single-handedly crafted the sculptures and it took him five years to complete it. The main hall of the monastery is adorned with a very beautiful Tibetan paintings depicting different aspects of the Tibetan Buddhism, the main statue of Guru Padmasambhava or Guru Rinpoche is kept here. The monastery houses numerous religious idols and other objects of worship, most of which are priceless because of their antiquity. There is a small beautiful garden just outside the monastery which is very well maintained by the monks.The Cham dance is the main festival of the monastery which is performed by the monks wearing different types of mask and colourful costumes, it is celebrated every year on the 28th and 29th day of the 12th lunar month of the Tibetan calendar (February). 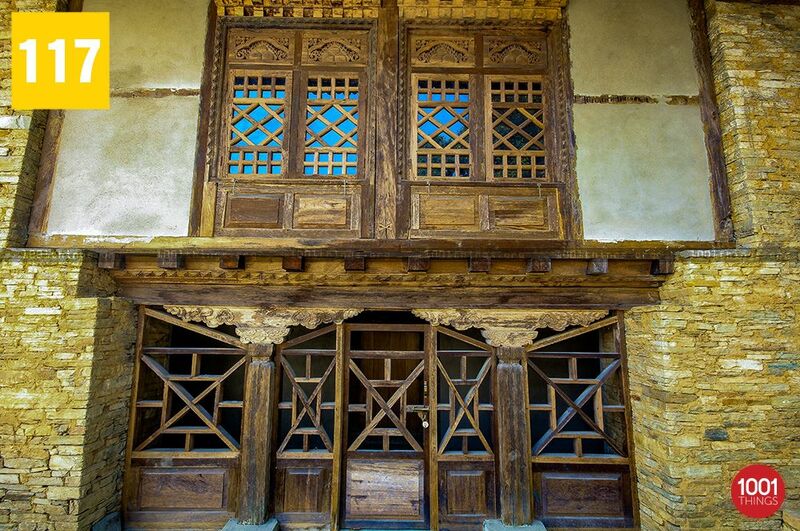 Over the centuries the monastery has survived several earthquakes and other calamities . As a result, the monastery has been damaged time and again which can be spotted in the interiors, especially on the first floor. 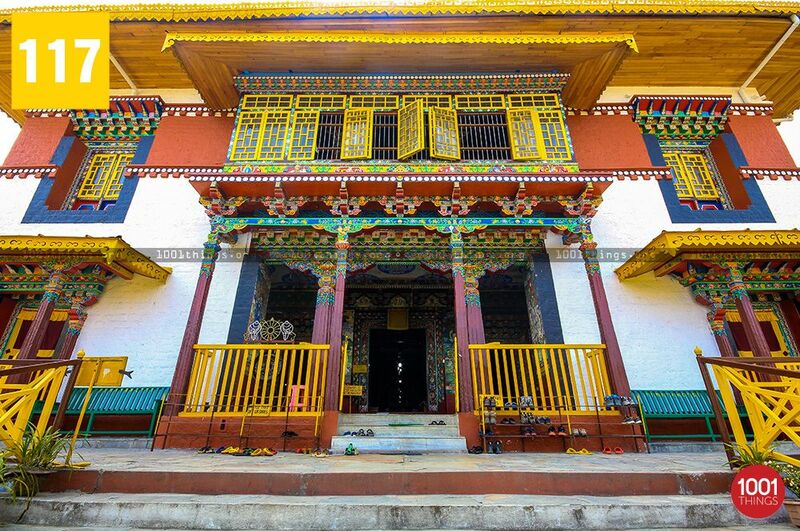 This monastery is now visited by thousands of tourist and it is one of the most famous tourist spots of Sikkim.